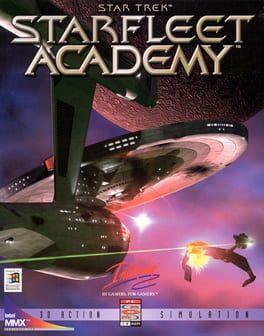 Star Trek: Starfleet Academy is a PC Star Trek simulation game that simulates the life of a typical Starfleet cadet. The object in the game is for the player to learn the basics of flying a starship so that the player can eventually become a captain of one's very own ship. It includes a simulation battle mode in which the player can pilot and fight ships of his or her choosing. It's also the first time in a video game that free-motion CGI filming took place. The in-game movies, directed by Martin Denning, at the time represented a breakthrough in CGI-Live Action rendering. Star Trek: Starfleet Academy is available from 4.99 to 5.99 from 2 shops.